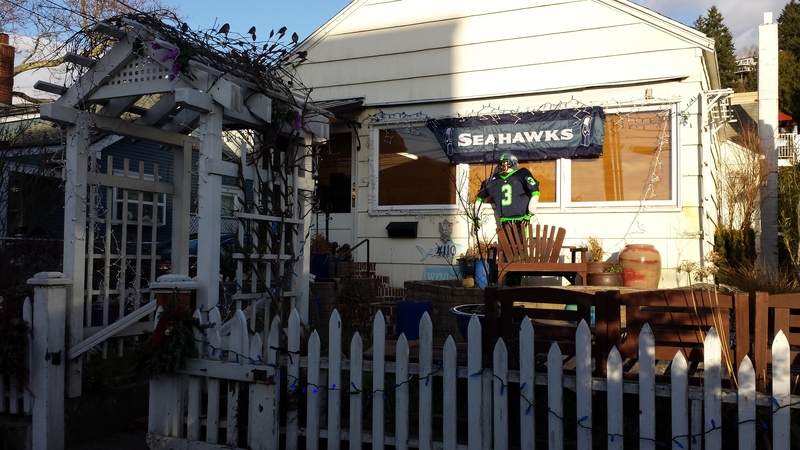 This home just north of La Rustica on Beach Drive must be the home of the 12th man…or Russell Wilson! The lighting (nor my camera phone) does this fan’s efforts justice – you got to drive by this at night when you can see the lights. Thank You for a great season, Seahawks! September is less than 9 months away!